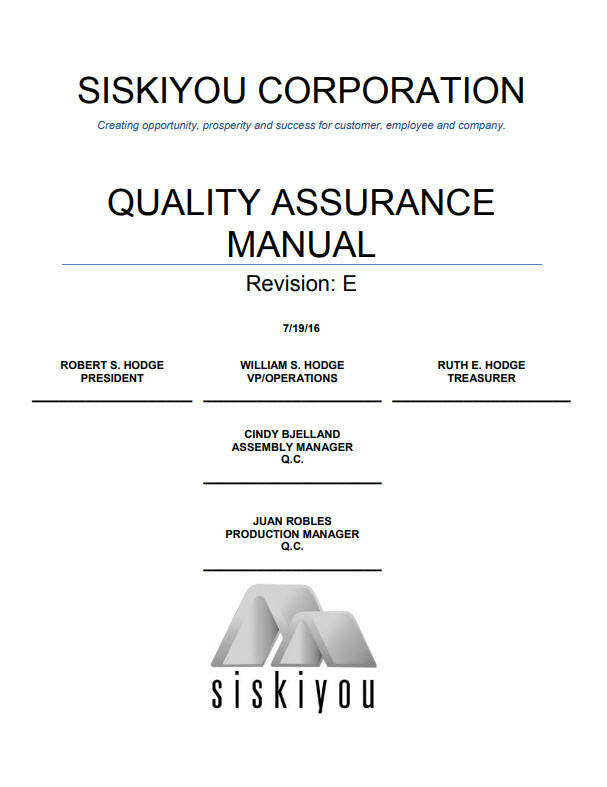 “What we know about quality and document control. In the beginning at Siskiyou we realized that if we were to be a global supplier we would need to build items the same, time after time. To reach this goal we decided to implement document control that followed product production from order-entry, through manufacturing, outside vendor processing, assembly, shipping and billing. It is a simple concept that has been in place since 1972. It allows us to build and maintain quality product day-in and day-out for over 45 years. If you ever want to visit our manufacturing site in Grants Pass Oregon, just send us a request at service@siskiyou.com or call us at 1-877-313-6418. Every customer that has visited has been impressed by the cleanliness and organization of our facility. They have also approved us as a key supplier."